Localization in ASP.NET hasn’t changed much since the days of WebForms and ASP.NET 1.0 with some minor updates (for WebForms) in ASP.NET 2.0. Since then things have been rather quiet in regards to new localization features. One of the things that just about any localized ASP.NET app needs to do is set the user’s locale, often based on the active browser language setting. There’s some limited support for auto-local switching built into .NET but this often doesn’t hit all the needs of a typical application scenario where more is required. This post describes what’s ‘in the box’, and how you can create a simple custom solution that provides a bit more flexibility along with some discussion on how to best set the culture depending on your application requirements, whether its automatic culture detection and setting, or explicitly assigning cultures based on user preferences. This setting automatically switches the ASP.NET request to the browser client’s language if a match can be found. If the browser doesn’t provide a language or the language can’t be matched to one of the .NET installed cultures, the fallback value is used – in this case en-US. This setting applies the ASP.NET request thread’s CurrentCulture and UICulture. The culture is switched very early in the ASP.NET HttpApplication lifecycle, so you see the selected culture applied and available even in Application_BeginRequest and then throughout the rest of the request cycle. As a refresher, recall that a .NET Culture drives things like number and date formats, currency symbols, sort order, casing etc. – ie. it’s primarily geared towards formatting and converting things. UICulture on the other hand is what .NET uses for resource localization – if you’re using Resx resources or a custom ResourceManager or ResourceProvider (in ASP.NET) the UICulture is what affects which resources are selected for display. WebForms Pages also include an InitializeCulture() handler that can be overridden. It fires very early in the page cycle as a pre-init event that allows you to hook into the process of assigning a new culture before other code in the page runs and before the initial page tree and the controls within it are constructed.. InitializeCulture() can be used to override culture values set with the above attributes, or completely create a custom culture switching routine based on application logic. Generally I’d advise against using Page level localization settings, to avoid missing non-Page resources in your application that might also need to be localized. For example, you might have a module that also produces localized output or error messages and if you use only page level localization only pages that have the attributes set localize properly. It’s better to use localization globally and ensure your entire application uses the same settings. Today a lot of new ASP.NET applications don’t use WebForms so the above solution clearly doesn’t work for everything. Even if it did, the solution is very generic with very little control over the process if you need to customize how localization is applied in any way. In real-world applications the requirements for locale switching tend to be a bit more complex, involving switching only to certain supported languages and locales as well as overriding some of the common culture settings. I’ll come back to this in a minute, but first lets look at a routine that I use to switch my .NET Culture and UICulture in Web applications. 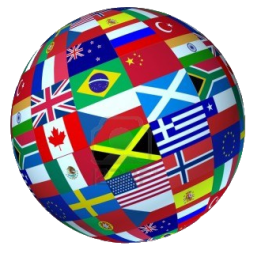 The header includes a list of languages that are defined in the browser’s language settings. Typically you’re only interested in the first one for setting the language as that’s the primary language. Although browsers send this automatically, keep in mind that non-browser HTTP clients typically don’t so if you’re checking for Accept-Language always assume it’s not present first, before using it. You can use different values for Culture and UI culture. But typically you use the same values for both or specify a specific culture for the Culture and a generic non-specific culture for the UICulture – ie. en-US for culture, and en for UICulture – as generally the differences between regional versions of a given language are relatively minor and not worth customizing for (color vs. colour type of issues). /// and optionally disallows setting the UI culture. /// resource access for locales that aren't implemented at all. /// 2 or 5 letter ietf string code for the Culture to set. /// specific version (ie. en-US, en-GB for en) are accepted. /// Any other locales revert to the machine's default locale. /// don't exist and using unsupported culture settings . There are quite a few parameters to this method, but all are optional. You can pass in culture and ui culture values – if they’re not passed the browser’s language is used if available, otherwise the machine default is used. You can override the currency symbol on the culture selected, which has always been a common scenario in my apps. While I often switch the culture to display number and date formatting in the user’s format, payment values are still represented in US dollars. So in a store when a user comes in with a Swiss German culture, I don’t want to show my prices in Swiss Francs, but rather in US dollars while still displaying numbers and dates in a format familiar to the user. This may not be true for all applications, but it is a common requirement where prices are displayed – prices are typically not mapped to the user’s currency automatically but either fixed up explicitly under application control or tied to a specific value. This parameter addresses this common scenario. Currency of course is only one setting available on the Culture – what if you need to change other culture specific values? You can also set other Culture settings by directly accessing the Thread.CurrentThread.CurrentCulture instance after the call to SetUserLocale(). this works even if the culture wasn’t changed from the default because SetUserLocale() always creates a writable Culture/UICulture that can be modified after the locale has been set. Finally you can optionally accept only certain cultures that you actually support in your application. It doesn’t make a lot of sense to have a Turkish user mapped to the Turkish UICulture when you don’t have Turkish resources. Granted .NET Resource fallback will display translations in the invariant culture anyway but there’s overhead involved in looking up the Turkish language ResourceSet and then caching an empty ResourceSet for that locale. Likewise, you may not actually want to use Turkish language Cultures either, since there are some peculiar sorting and matching criteria in the Turkish locale there that can easily bite you. If you don’t support the language explicitly it might be safer to just fall back completely to your default language. This gives you basically the same behavior as the ASP.NET auto culture setting. The browser is sniffed and both Culture and UICulture are set to the browser language. This forces my app to always display currency values with a dollar sign while the rest of the allowed locales display their proper number formats. I tend to set allowedLocales to the languages that my app actually supports – english and german in this case. This will allow any german and english based browser clients to get custom resources, while everyone else gets the default machine culture (en-US in my case). Note that although the most common place to do this is inside of Application_BeginRequest() to set these values globally, it’s not required and sometimes it’s very useful to be able to call this function from elsewhere in your location. Some applications allow users to pick a language they want to use as a user setting. In this scenario using Application_BeginRequest() doesn’t work because the user hasn’t been authenticated and the user locale information is not available yet. So, the call to SetUserLocale() has to be delayed until the user profile has been loaded and the locale to can be determined. Here I use a custom principle in my user logic and that user is contains a Culture as a string that I then EXPLICITLY assign to SetUserLocale(). The above ties in with the ASP.NET Authentication system, but that doesn’t always work because often that system doesn’t contain extended user properites such as language preferences – sometimes these decisions are pushed into the application layer. In a recent MVC application I worked on we used a custom base controller that provided among other things the ability to set the user’s locale based on user profile settings stored in an application specific user file (ie. not membership/identity). The SetUserLocale() calls lives in Controller::Initialize() which fires early in the MVC pipeline, so pretty much before any user code runs in the MVC request, so all output is affected by the Culture change. and voila – user customizable localization. This approach can be used with any ASP.NET framework really. If you’re using WebForms you can do the same sort of logic in a base Page class and use InitializeCulture() to call SetUserLocale() from there. Localization seems like it’s a second rate technology in ASP.NET, but even though there’s not been much love given to Localization in a long time, the tools that ASP.NET provides are sufficient, even if they tend to be low level and mired in ancient Windows localization structures and concepts. But with a little bit of tweaking it’s possible to do all sorts of neat stuff with ASP.NET localization. Setting user locale either automatically or explicitly is one simple task that any localized application needs in my opinion and I hope the discussion here gives you some ideas on how you can simplify your localization setup for ASP.NET apps. Thanks for the article, Rick. Localization is the thing that is killing us the most in our current application being written. However, I was actually wondering if you have the code snippet (or another blog posting) behind the "RequireSslBasedOnConfigSetting()" decorator on your controller in the MVC example. Rick - Thanks so much for this. It's crazy elegant. I'm currently using a crazy #DEBUG-IF block to do this check based on "Release" vs "Debug" building. I love this idea. I am using MVC and have to support URLs, that contain the culture and the same URLs, that do not. So basically, I have one route with "culture" in the URL and a matching route without culture in the URL, where I set the culture to a defaults "notset". Now my question is, can this have any implications on the further request pipeline, or is that approach fine? @twomm - I think you should be fine because anything you do in the GetHandler happens before the MVC routehandler gets control of the request. I think you do want to try and set the culture/uiCulture as soon as possible in order to make sure that all aspects of the request like authentication get to use the current culture settings. THat's generally why you want to do things in the BeginRequest() cycle if possible. But if you're changing culture based on the route you have no choice to do it until later, unless you create a module that looks at the URL and figures out the route culture earlier in the cycle (which wouldn't be difficult to do since you know what the culture Urls look like). Yes, I will try the outlined approach and if I see any issues, I will use a module. Give an example of how to get a string in the appropriate localized language from the resource file in the C# code based on the user's culture passed in with the HTTP request. If you're using MVC or WebAPI you're likely using strongly typed resources. We have come across strange behaviour in reports that run from our website. What I don't understand is why that would happen, since each page was requested by the same browser from the same hosting server? @William - Auto culture uses the CLIENT browser to determine the culture. So you have users from other locales. If you want to always use a fixed locale (South African) remove the Culture commands from web.config or explicitly set them to the locale you want to use. Our websites are connected to several different databases per client. Our clients are not South African. They are from Algeria, Libya, Ivory Coast, Burkina Faso, Uganda, Namibia, South Africa, etc. We host all the websites all on the same server. What would be the best practice in terms of globalization and localization to ensure that each client gets to see their website with their own currencies in reports, etc? Would it be fine to set each of their cultures in their individual web.config files? @William - I'm not really sure what you're asking. This post describes how you can limit the locales your application supports by checking the locale and matching it to a set you define. If it's anything else but those you fall back to a default locale (whatever that may be). I came across your post which was very informative. I have a strange issue where my culture appears to be changing across the request. The details are http://stackoverflow.com/questions/35544639/prevent-globalization-culture-changes-across-request. I was wondering if you had any insights as to why this was happening. Any suggestions would be appreciated as I am really stumped on this one. This article is very much useful to understand the localization concepts, i have a requirement like i have 3 different projects (1 is Web project, 2 is MVC project and 3 is Wcf service project) and i would like to have a common Globalization project where i can manage the Resources and keys. Now the question is how i can use this common Globalization project in all those 3 projects???? @Shekar - you can create a separate assembly that holds all the resources and exposes the resources publicly. You can then import the assembly in every project and access those resources in all projects. With strongly typed resources it's relatively easy to reuse resources in each project. Could you please provide the example, if any? If you use GetGlobalResourceObject() that won't work as that uses the ASP.NET Resource Provider and it only knows about resources in the ASP.NET project. The only localization that works across projects is via strongly typed resources (or direct resource stream access).